What would become the Hollow Rock Store was built by John Ransom Whitfield and run by John Brown in its early years. 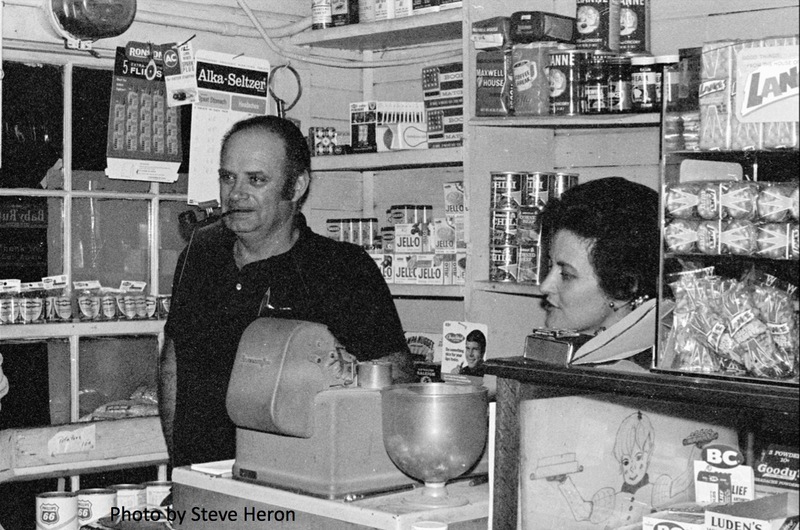 The store was a focal point for the community through much of the 20th century; in 1972 a new store was built behind the original, and the original store was moved to Jan Gregg's property. 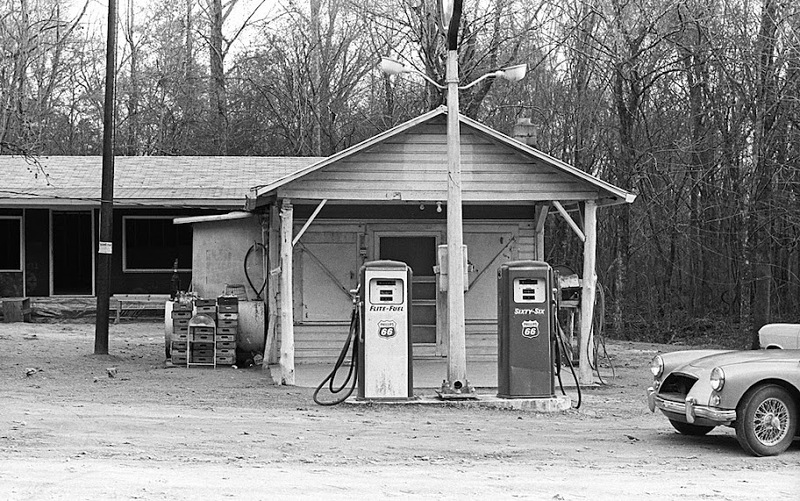 In 2000, the 1972 store was torn down by NCDOT as part of the replacement of the original bridge. It went, but it's coming back soon. After spending some time in a nearby backyard, the store is hoping to return to (almost) its original location. Monetary donations can be made to help that process along. Preservation Durham is acting as the pass through, since the Hollow Rock Store friends group is not a 501 (c) (3). That place always brings back memories. When I was at NCSSM in the early 90's I'd frequently bike out Erwin Rd. to ride through the Kornstein division of Duke Forest (between Whitfield and Mt. Sinai). I'd usually stop by the Hollow Rock country store to get a Gatorade and sit on the old church pew they had sitting on the front porch. Inevitably, the clerk inside was watching professional wrestling on a small TV above the counter. My main memory of the Hollow Rock store is that, when I was 22, I used to run as compulsively as I now collect building history. I'd go out every night after work and run from 108 N. Buchanan, where I lived, down Campus Drive, across West Campus, down to the Duke Cross Country trail, around it twice, and then back. On the weekends, I'd go run around the various Duke Forest divisions for 2-3 hours. One weekend, I had the idea that I would run to Chapel Hill and back. Being young and completely invulnerable at the time, I made no preparations for this - brought no water, food etc. I ran my usual route to the cross country trail, but crossed out to Old Erwin, then ran down Old Erwin to Franklin - up the long hill to UNC to the old well, and headed back. Although the hill was terrible, I was doing fairly well on the way back until I came to around Whitfield. Then my legs just suddenly stopped. It's not something I've ever really felt before or since - even when I later ran a marathon (because it took going to medical school, evidently, to understand how the body's fuel systems work.) I wasn't more tired than I'd expect from a long run, and my legs didn't hurt. I could still stand. But I couldn't get them to run anymore, or to really walk much. I sat for awhile, wondering what in the world I was going to do. Old Erwin wasn't as busy then, and no cars went by. I finally walked a bit, had to sit, walked a bit more, etc. It probably took me another 45 minutes to see the Hollow Rock store, and saw with some relief another now-nearly-extinct item - a pay phone. I made it there and sat on the ground, calling everyone's number I could remember collect, trying to find someone to come pick me up. A friend of mine was, fortunately, at home. It took some explaining to convey exactly where I was and what the problem was. Being a fellow 22 year old guy, he spent a good few minutes laughing at me and giving me * before agreeing to come pick me up. In 1981 on my 18th birthday I stopped in the Hollow Rock store to buy my first legal beer(the drinking age was only 18 in those days),the gentleman behind the counter carded me,when he was it was my birthday he said"this ones on me".I have never past that spot without that memory going though my head. This story is totally apocryphal. FDR died at 4:35 PM on April 12, 1945. Truman took the oath of office in the White House less that two hours later, having already consulted each member of FDR's Cabinet. The Browns, although farming their land along Erwin and Mt. Moriah for more than a century and having much history at Hollow Rock, never owned the Mann Patterson House. If I'm not mistaken, Archibald Henderson owned the Patterson House from the time the Patterson heirs sold it until his death in 1963. The fellow that worked at the B.C. Plant that Tommy Thompson mentioned was most likely Winston Parker, Jerry Turner's uncle (Magdalene's brother). Winston played guitar and sang with Tom Turner at Jerry's grandmother's (Cora Parker) house on Kerley Rd. when we were kids. John Brown cut our hair when we kids. Dad would take us over to John's house and we would get the "buzz cut" for fifty cents a head. After the haircut, John would play us a few tunes on the banjo. In 1970, I was 14 and lived on Randolph rd. we would ride den there for a drink and explore the Eno. 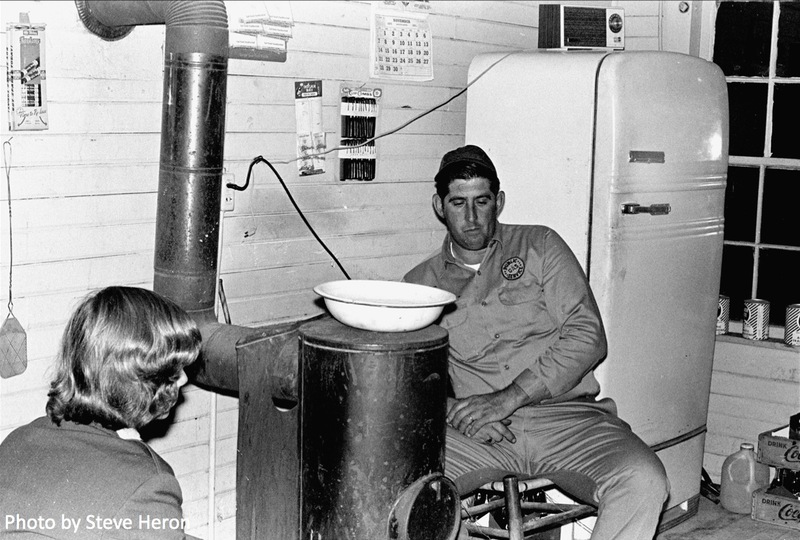 They replaced it with a new building like all other convenience stores- except they kept stove for farmers to sit around. This really brings back memories. We lived on Randolph Road. My Dad and Glen Whitfield were first cousins. My brother and I had a bike path all the way from our house on Randolph Road through Duke woods to just up the road from the store. As I remember it, John Brown's mother ran the store in the late 1950's/early 1960's and I remember my mother taking us there for a Coca Cola (she always had a BC Powder too - my dad worked for the BC Remedy Company). Tommy Thompson's house was down a narrow dirt road just in front of our house on Randolph Road and we could hear the music...now that's all in a housing development. It's all changed so much now. I grew up on Pickett Rd. near the Cornwallis intresection during the 40's & 50's. and remember riding my bike to Hollow Rock many times. Pickett Rd. was a gravel road after you crossed hwy.# 751 then. We would usually explore the Eno for a while then have a Pepsi from the old store, sitting on an old bench out front, before the ride back. Some memories !! 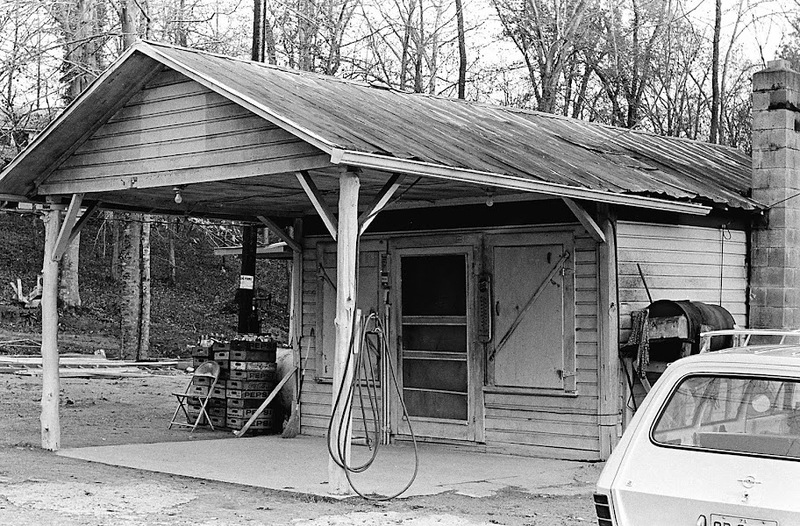 I spent many a day walking from my house off Sandy Ridge Ln to Hollow Rock country store 1975-1982 . Stan was such a nice man I should have had stock in the Glass Coke Cola I would always buy there.There was so many characters that could be found hanging out the . 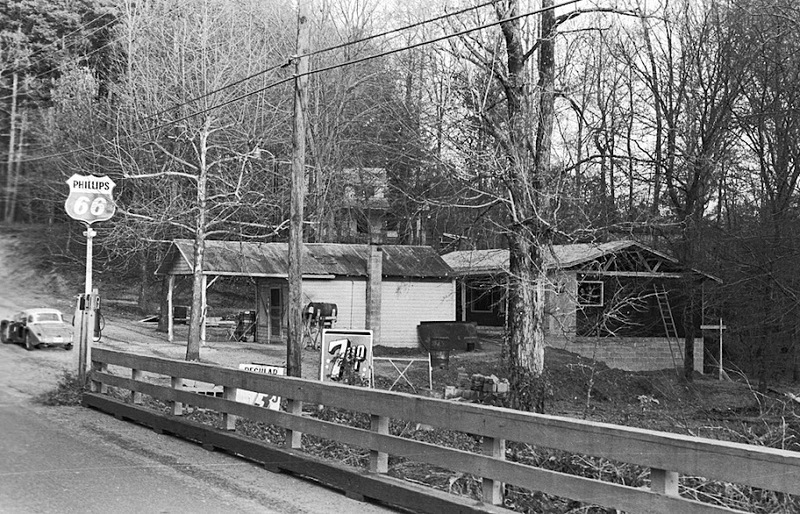 The store I will always remember as well as walking along the creek threw the woods. It was always a great place to drop in, say 'Hey' to whoever was behind the counter, (be it Stan, Sue, Arnold or Frank) and hang-out for a while. It was the place where my friends and I bought beer and munchies when we cut class during senior year of high school. It was the place that I parked my motorcycle at as years rolled by, whenever I trekked into Duke Forest for the day. It was the place that I went to call my future wife on the pay phone, when we had just started dating, and I did not have a home phone, and discovered--by happy accident, that the pay phone at Hollow Rock would make long-distance calls (she lived on the far side of Raleigh) for just a quarter--and let you talk as long as you wanted ! I have no idea how many Roast Beef Sandwiches from The Durham Sandwich Co., or how much Beef Jerky, or how many beers I purchased at Hollow Rock, but I got far more than I paid for in friendly atmosphere and good times. It was 'The Country Store' that always had what you wanted....and a smile to go along with it. I hated it when the store was torn down...I still have wistful feelings whenever I drive past the spot ...and 25 years of memories that never fade. This story is totally apocryphal.